Valuations technology that drives your business forward. Quicker processes. More secure documentation. Superior market data. Valuations360 is with you every step of the way, from improving how you manage instructions to faster delivery of a higher quality valuation report. It's time to start saving time producing valuations and spending more time adding value. Produce higher quality valuation reports faster. Build a powerful, centralised database of verified comparables. 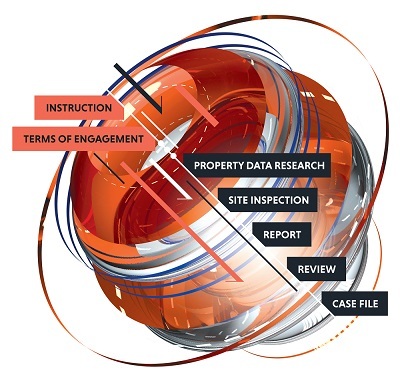 Maximise time spent at site visits and upload evidence direct from location. Automate repetitive, laborious tasks. Let valuations360 produce the document for you. Streamline the review process and instantly generate case files in one simple click. There is a significant opportunity for valuers who can balance speed with both achieving a high quality, consistent output; but it is by no means a straightforward task. 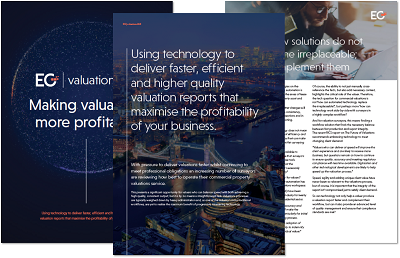 In this EG white paper, we explore how technology can help valuers achieve this and maximise the profitability of their valuation reports.